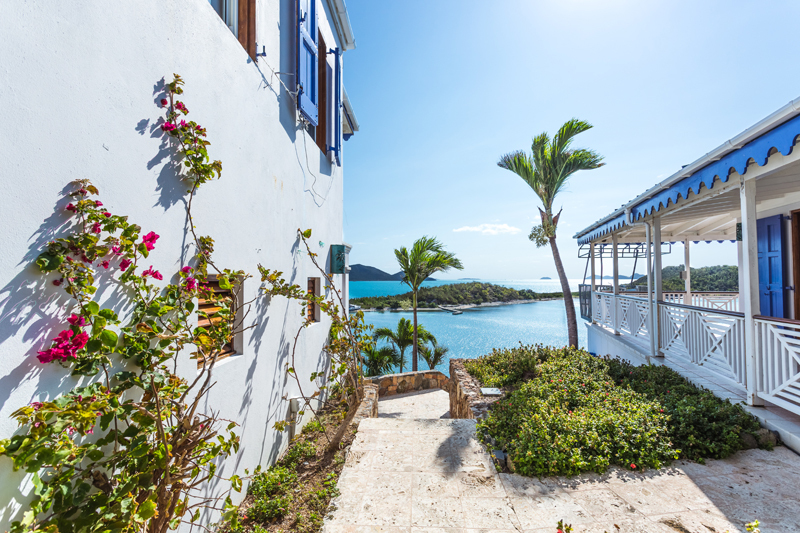 In the 1740’s “Mansion Hall” was home to the original Quaker Governor of the British Virgin Islands. 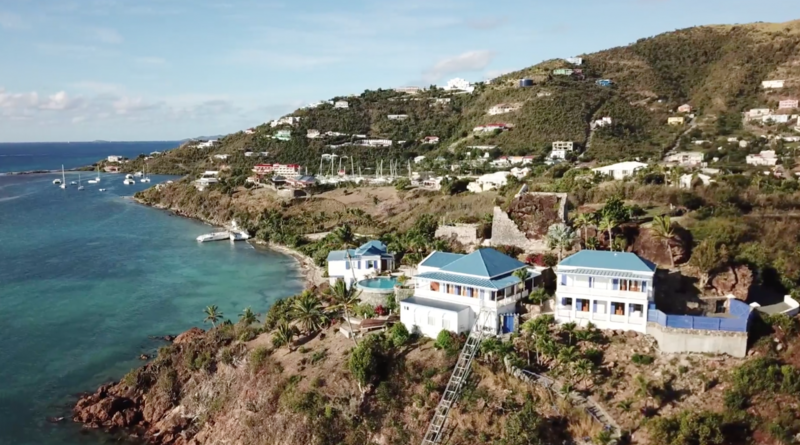 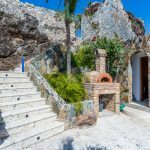 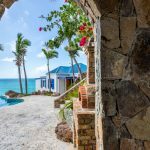 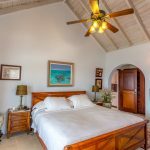 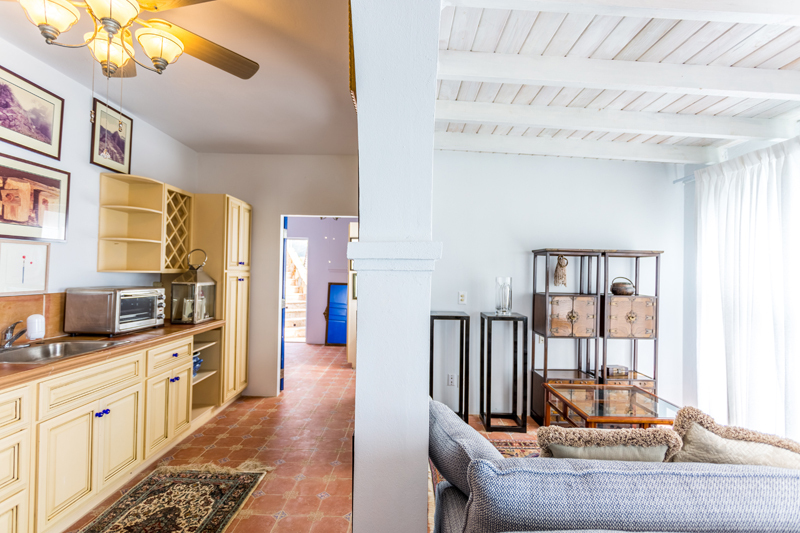 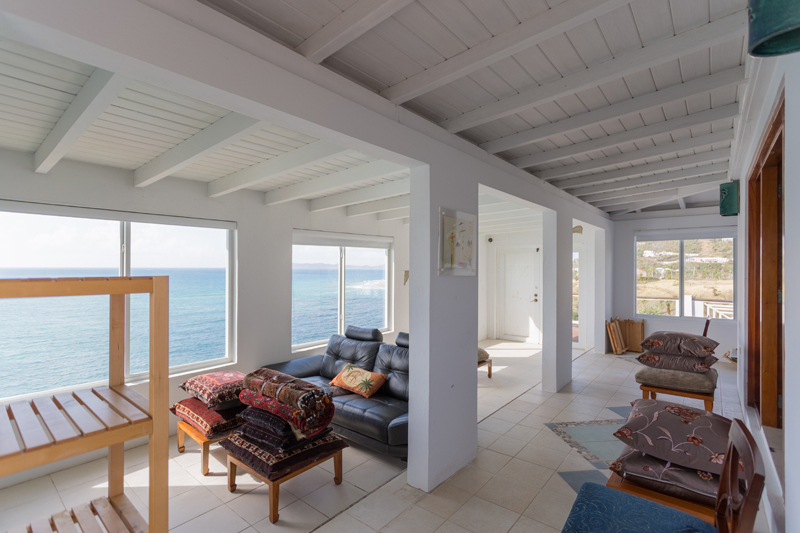 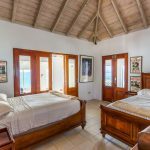 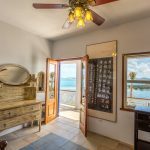 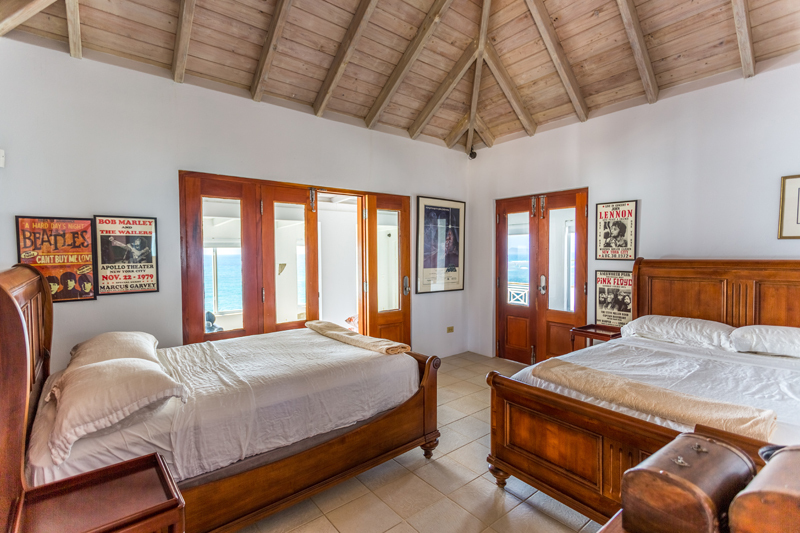 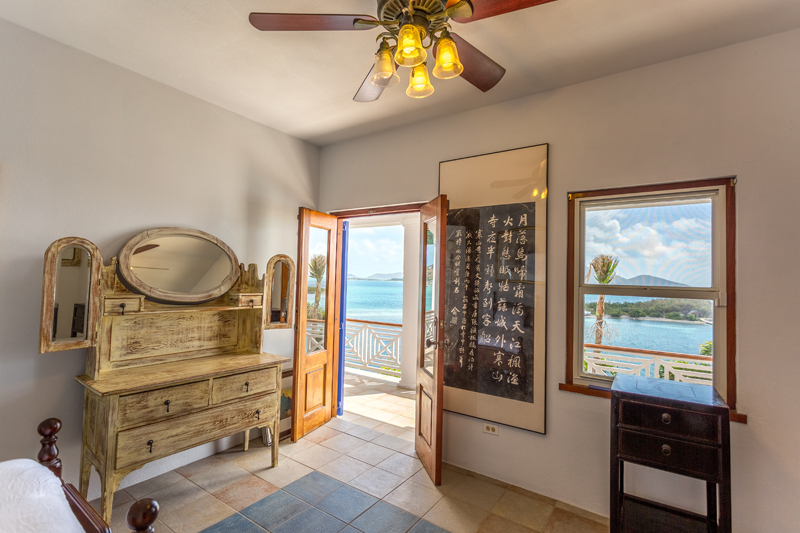 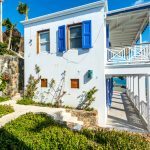 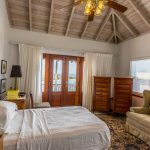 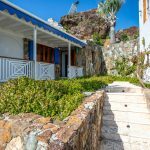 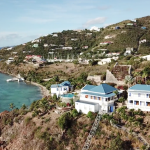 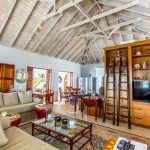 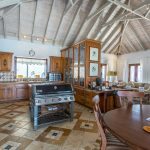 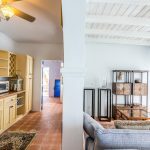 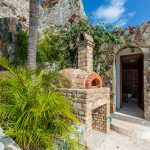 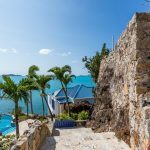 Fort Hodge was built close by to disaude any passing pirates and privateers from invading and it is on that historic site that Asolare, a magnificent 4 bedroom clifftop home, has been lovingly created. 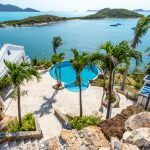 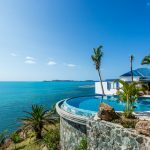 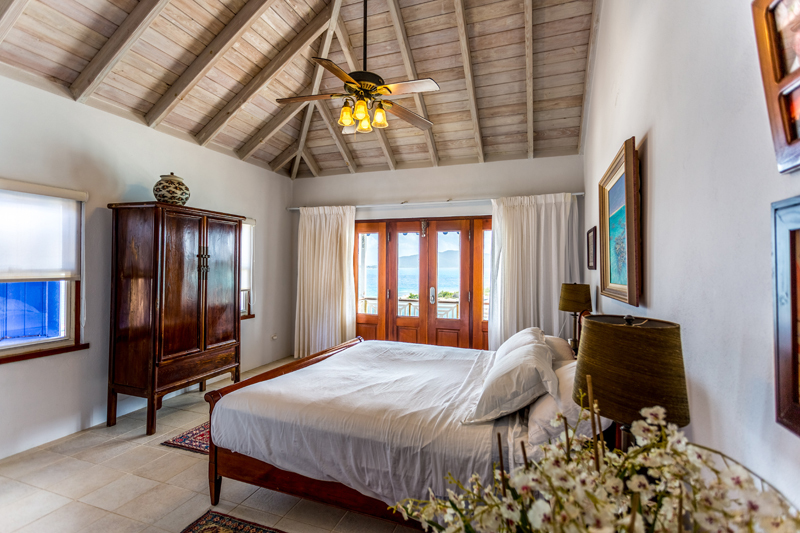 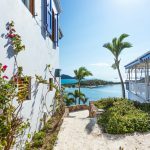 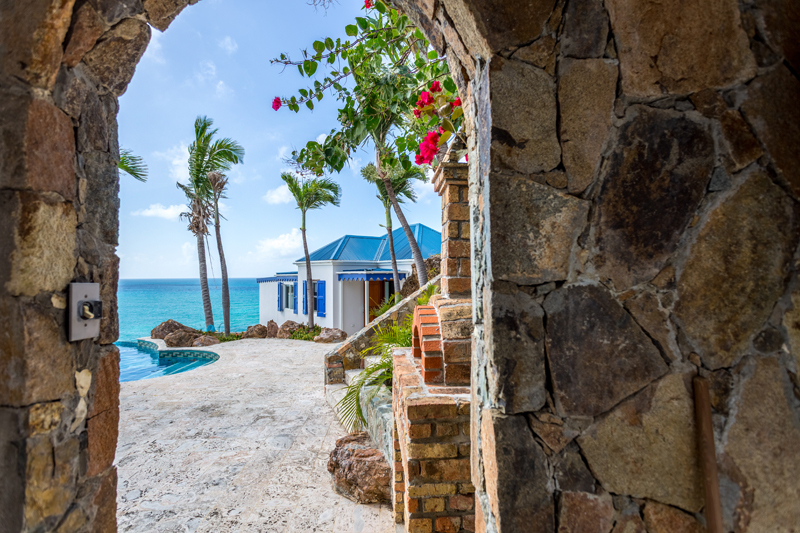 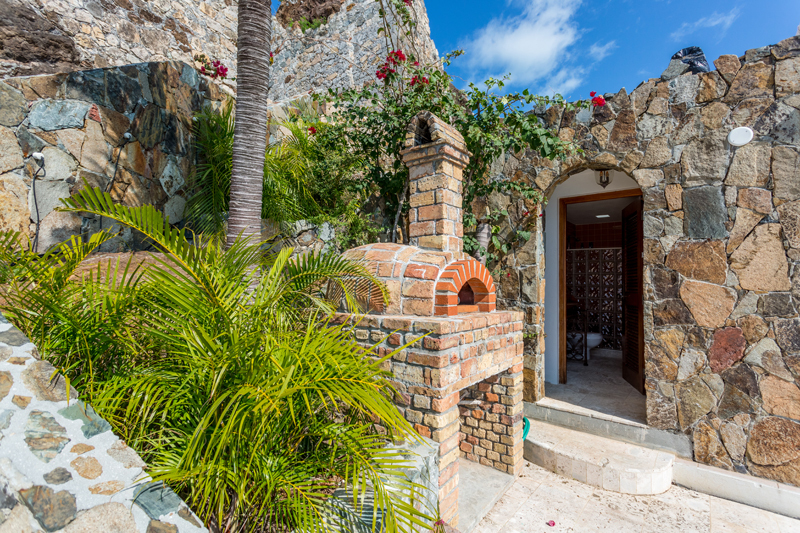 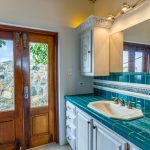 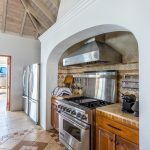 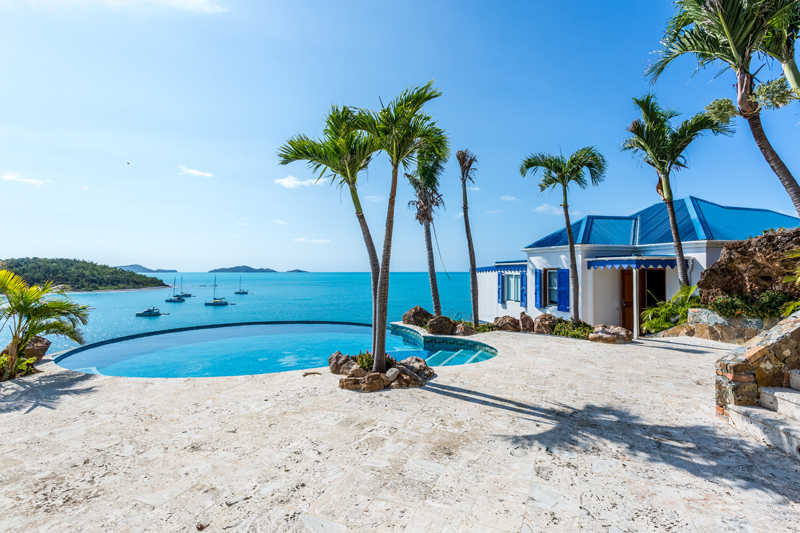 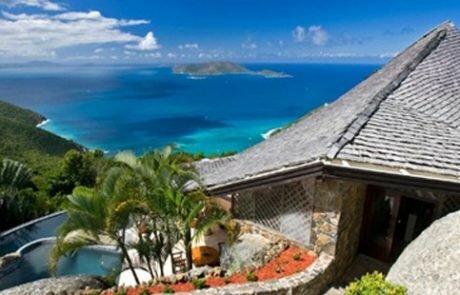 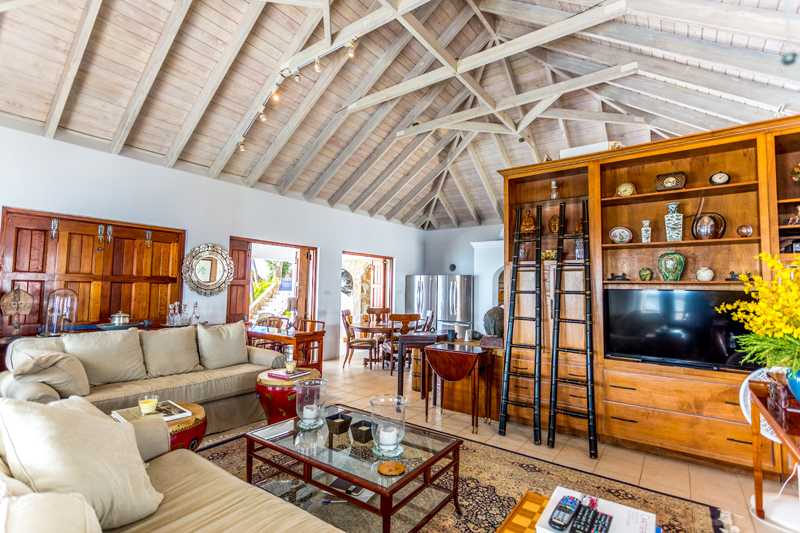 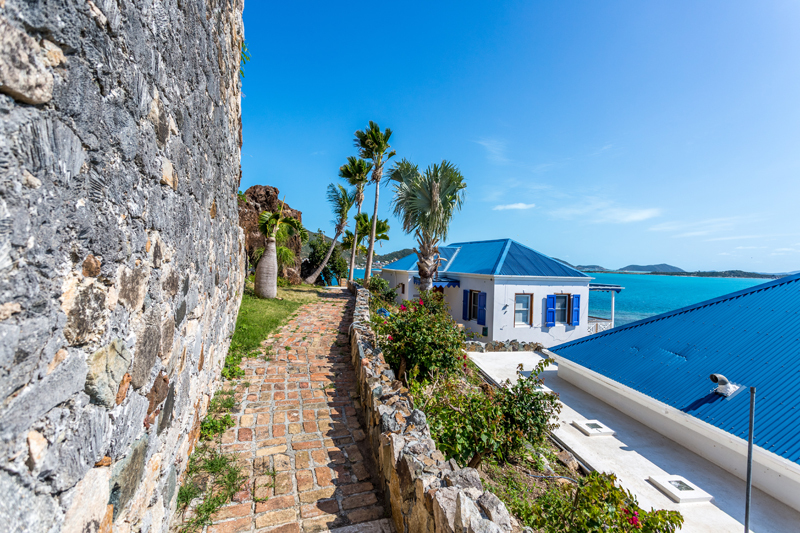 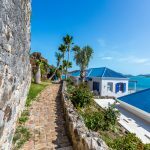 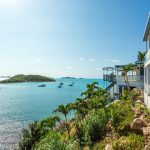 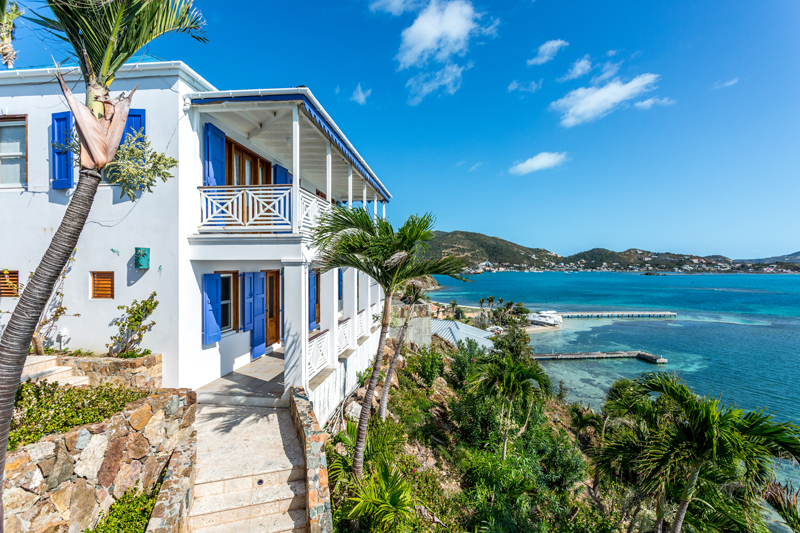 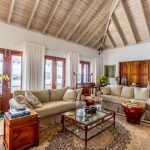 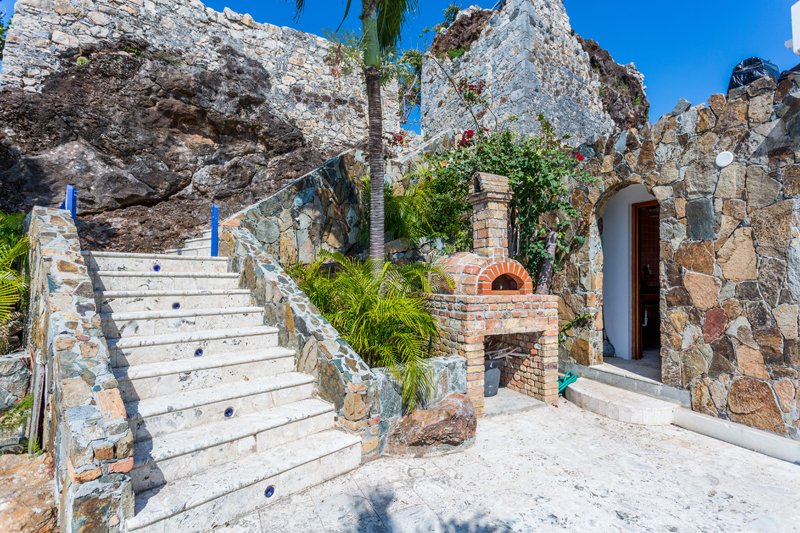 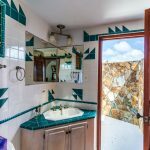 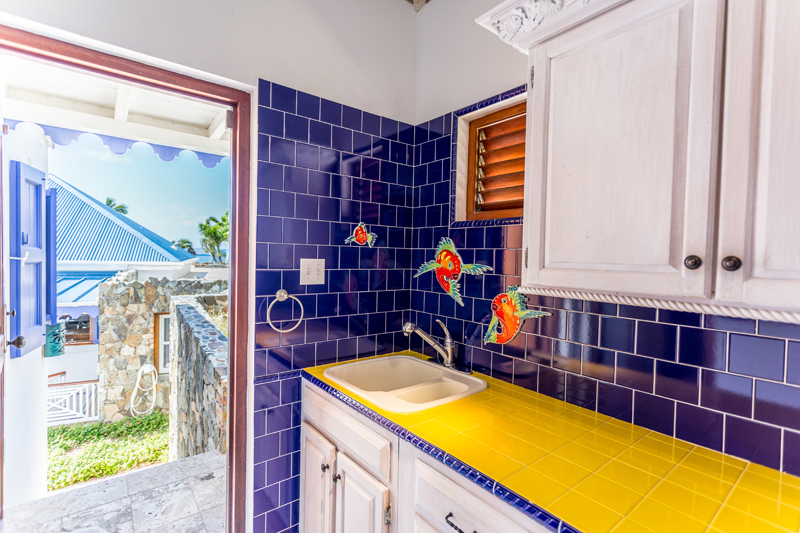 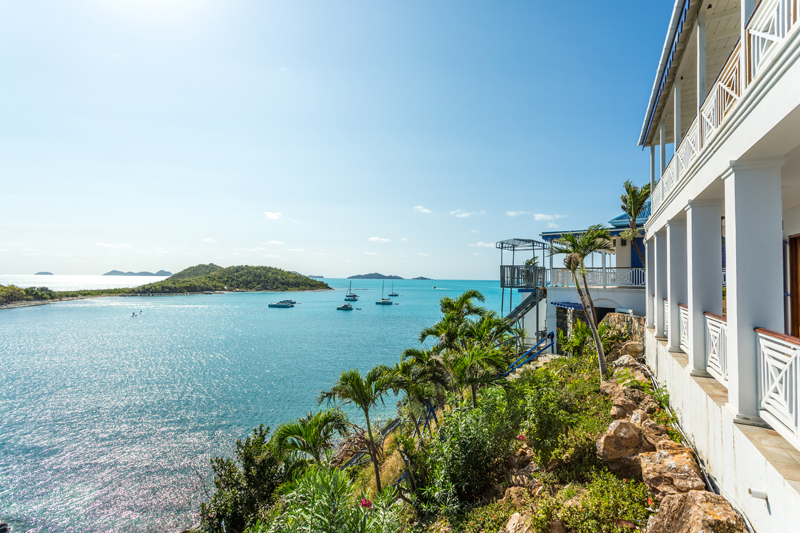 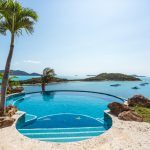 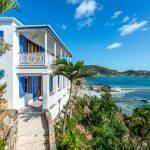 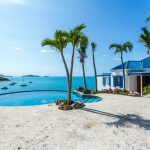 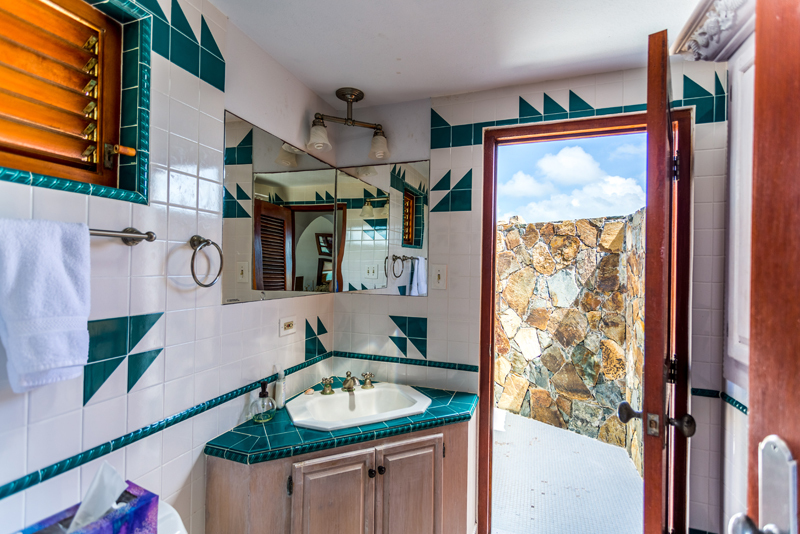 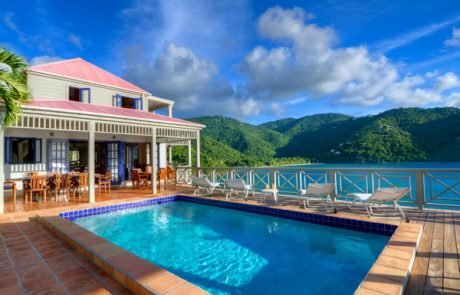 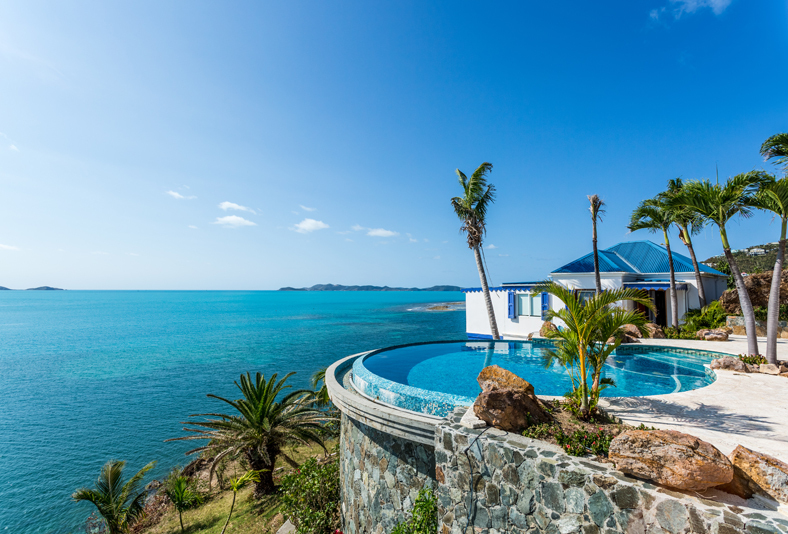 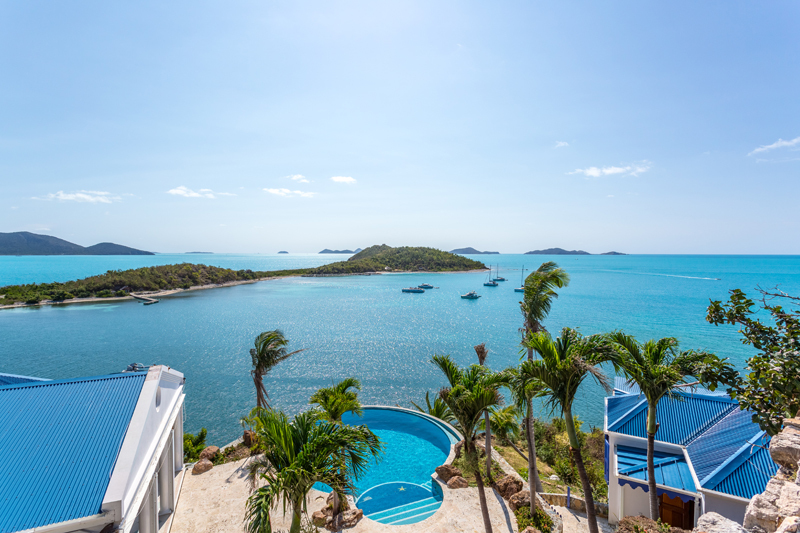 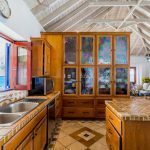 With the ruins of the fort forming a magnificent backdrop this is one of the BVIs most unique properties. 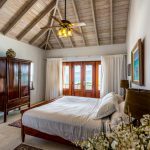 Having survived a few hundred years of pirates and marauders, Asolare has recently survived two of the most savage storms in Caribbean history and come through with flying colors. 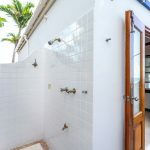 Works to fix the little damage that was sustained is almost complete. 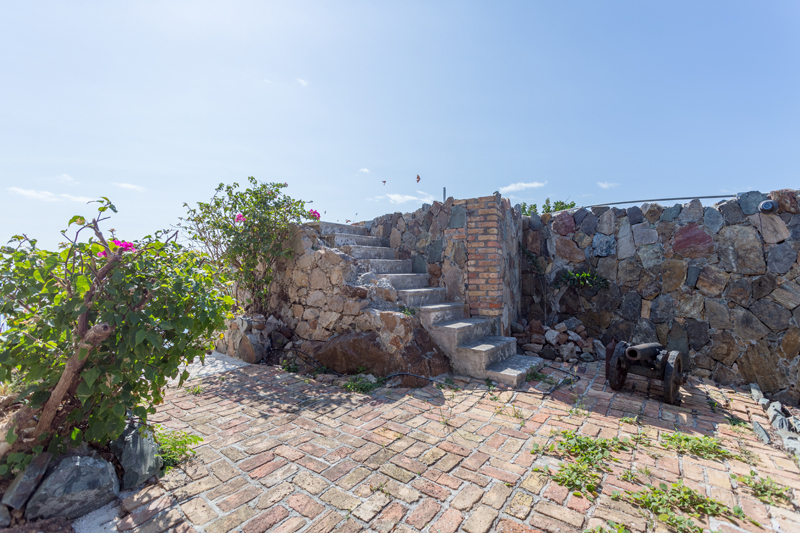 The site consists of nearly two acres with approx. 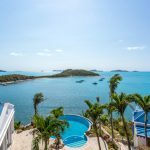 800 feet of water frontage including two beaches and a 100 foot dock. 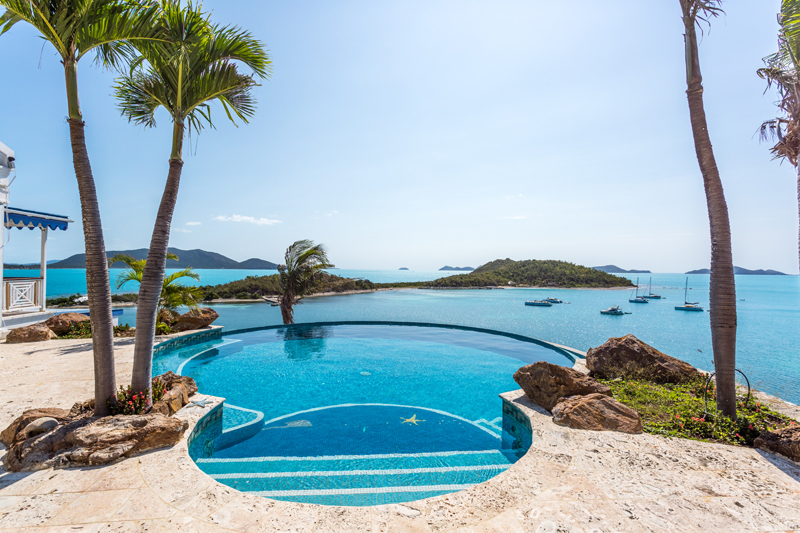 The dock has water, electricity, and a swim platform. 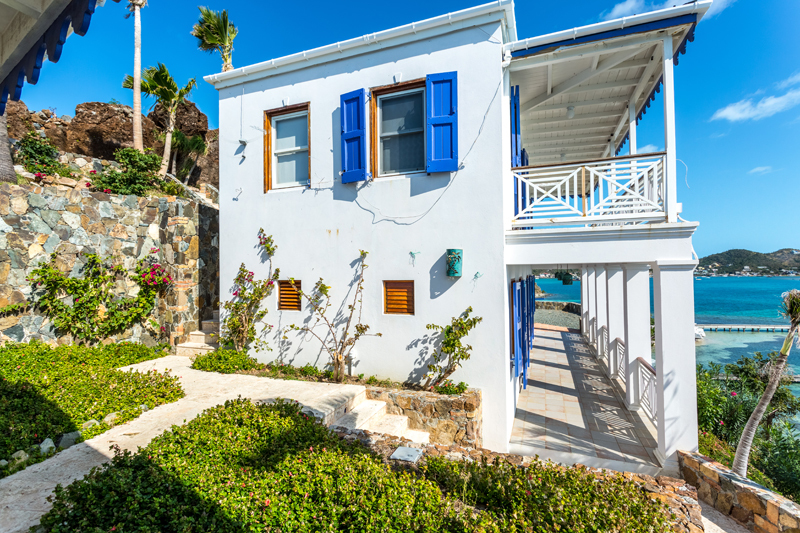 There is a boat house and storage down by the dock. 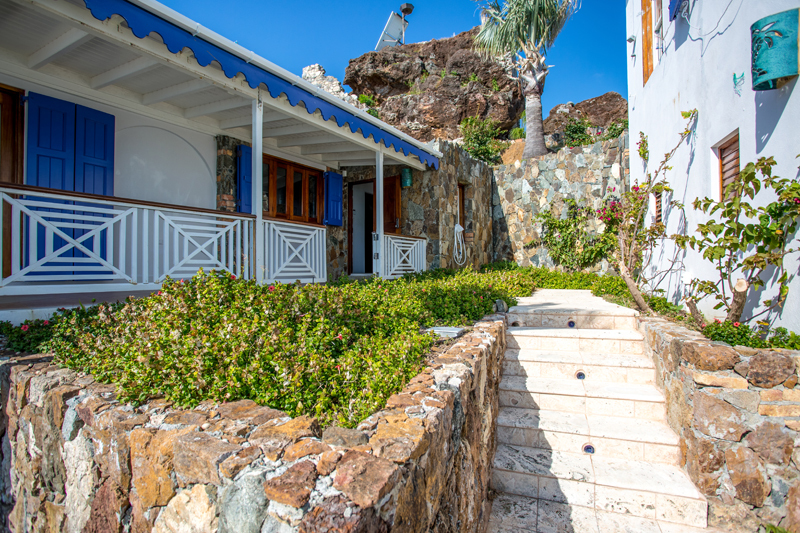 Access down to the beaches and the dock is via a natural stone staircase or, for the less mobile via a purpose built cable car (Note: The cable car was a casualty of the storms and does still need fixing). 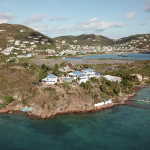 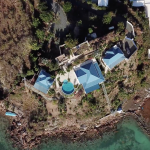 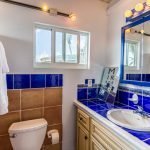 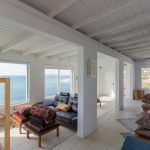 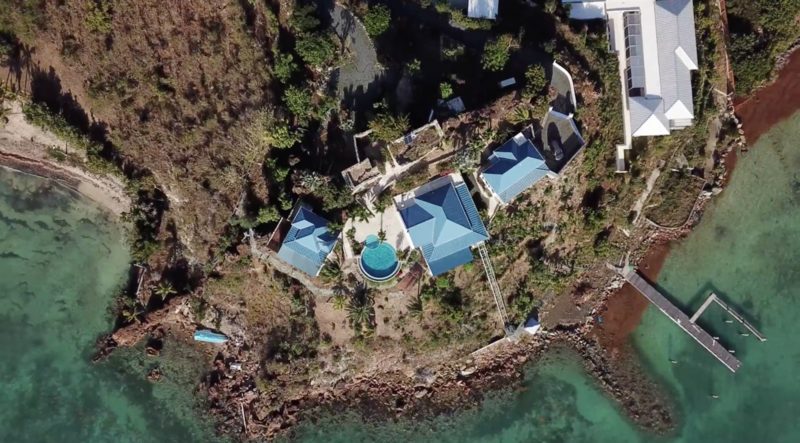 The house (approx 4500 sqft of finished space and 3000 sqft of porches and patios) provides spectacular 300 to 360 degree ocean and island views along the Sir Francis Drake Channel. 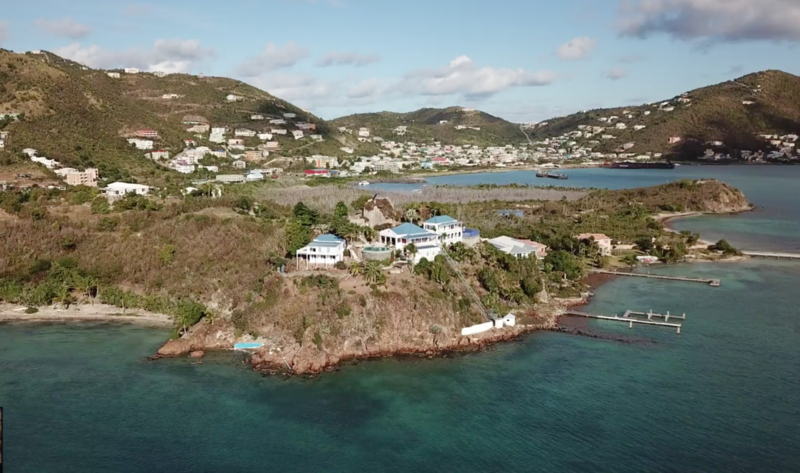 With clear site over the waterways leading to East End and Hodges Creek Marina and to Great Camanoe in the East and Norman Island in the South West, the Fort was clearly well placed to defend the Governor’s mansion. 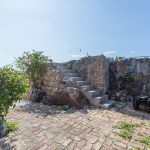 Asolare features a very dramatic entranceway through the Ruins and large boulders. 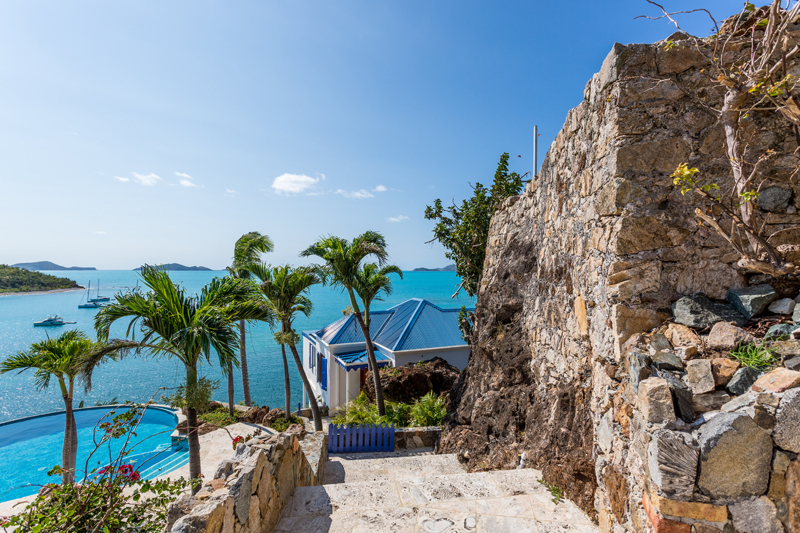 Steps up take you to a look out with its very own cannon. 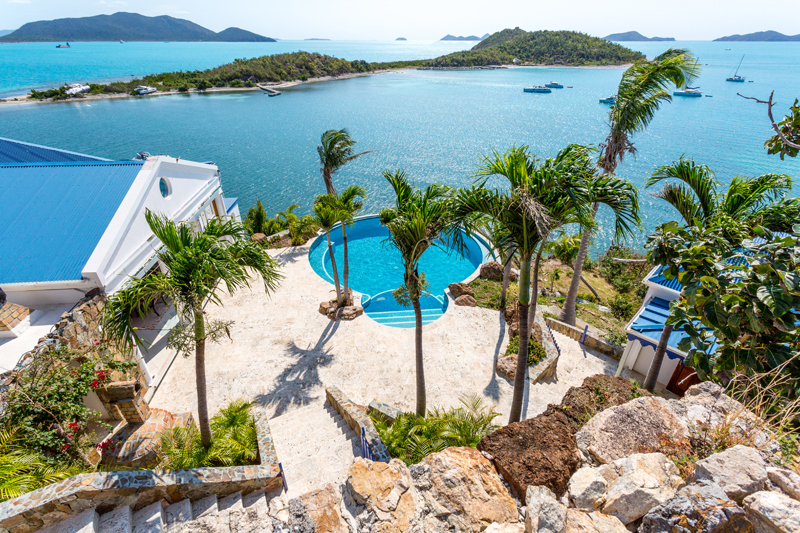 Steps down lead you to a glorious infinity pool atop the cliff. 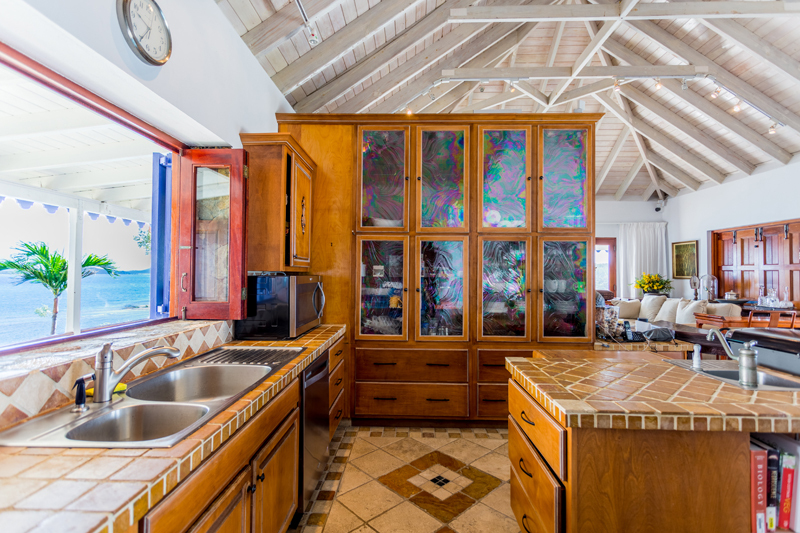 To the left lies the gourmet kitchen, inside and outside dining areas, and lounge area. 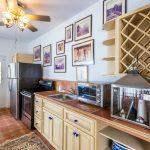 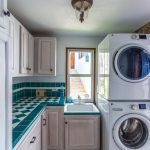 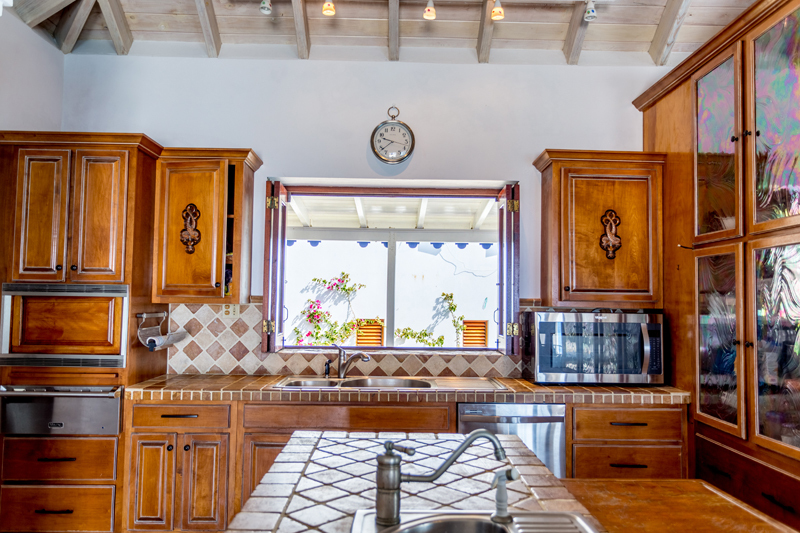 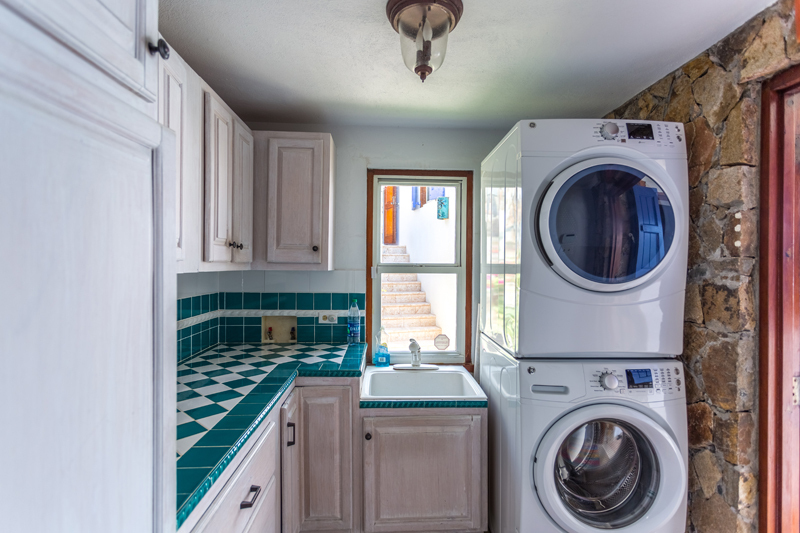 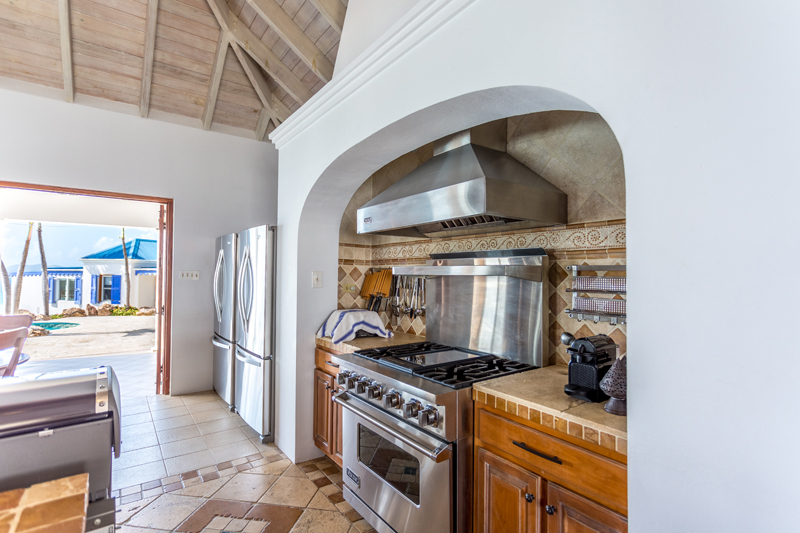 The kitchen features top of the line stainless steel appliances, bar, grill and even a pizza oven. 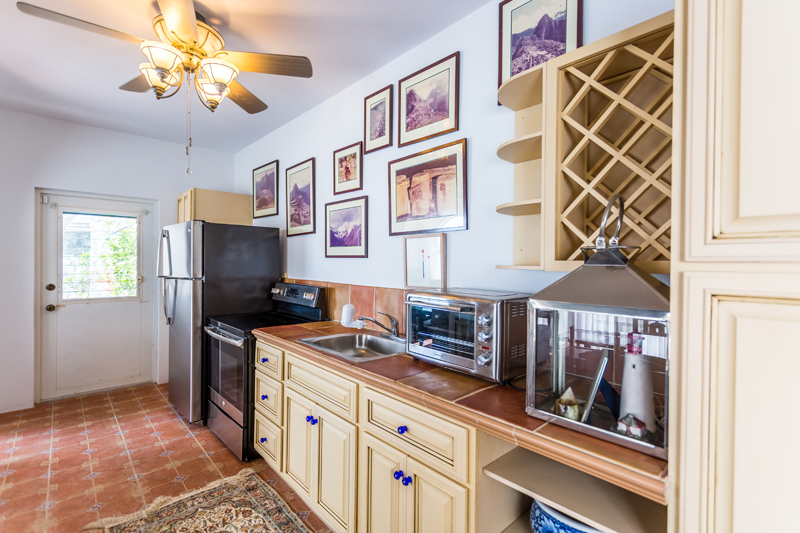 Beyond to the East sits the pantry, laundry and wine cellar. 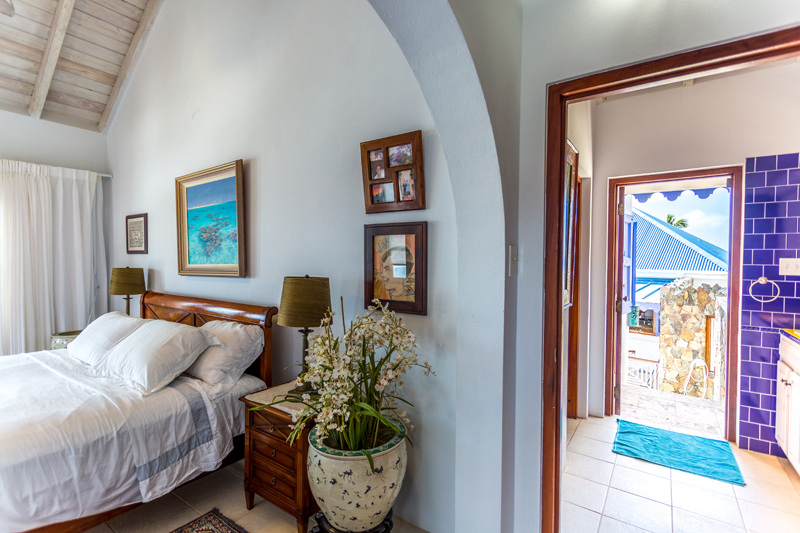 Further East sits the Guest bedroom building. 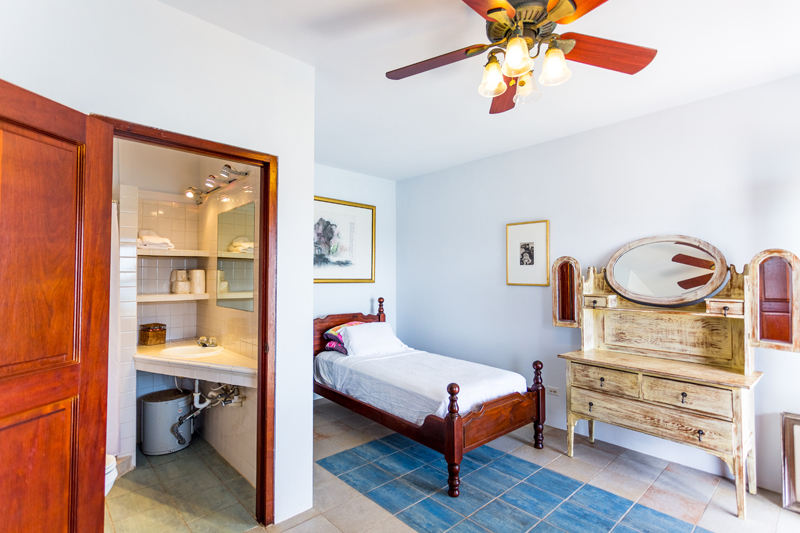 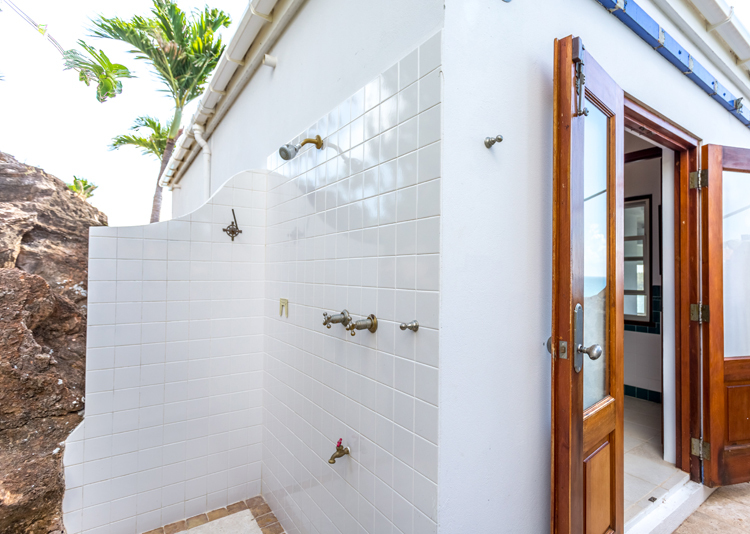 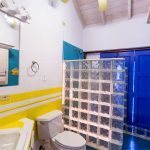 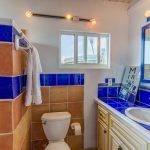 The three ensuite bathrooms are cleverly crafted to bring the outside in and to capture the amazing views whilst providing plenty of privacy. 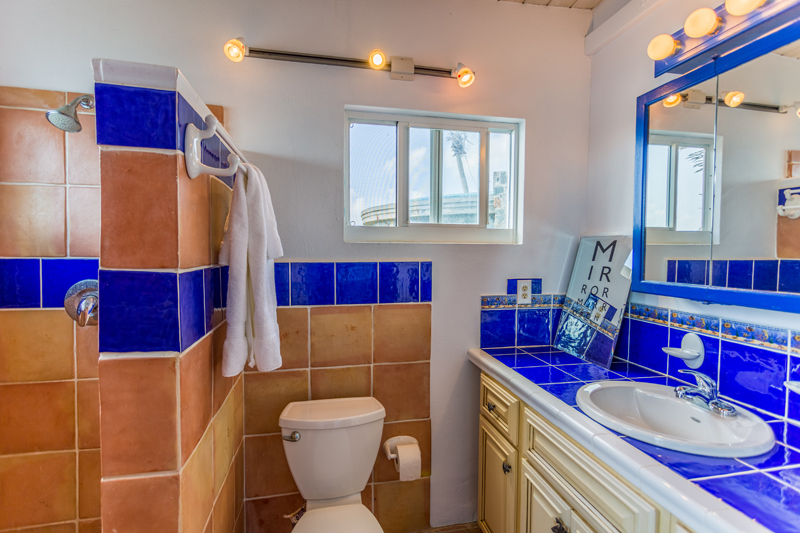 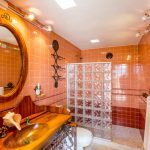 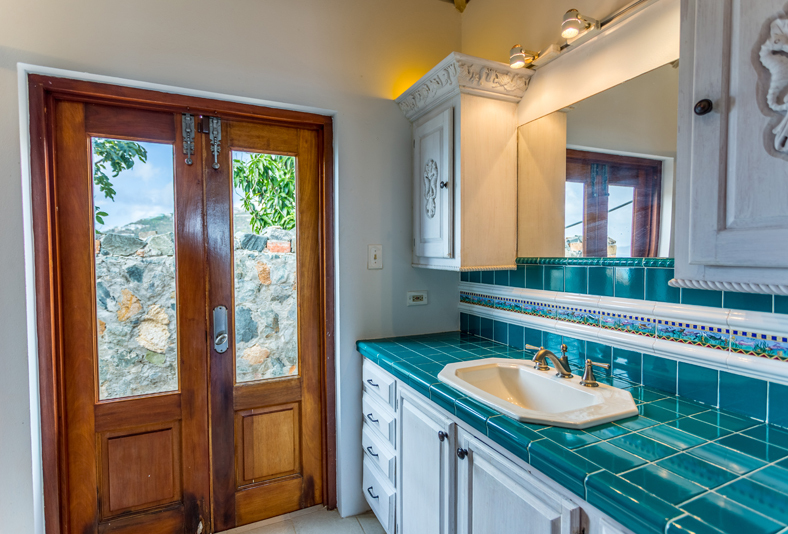 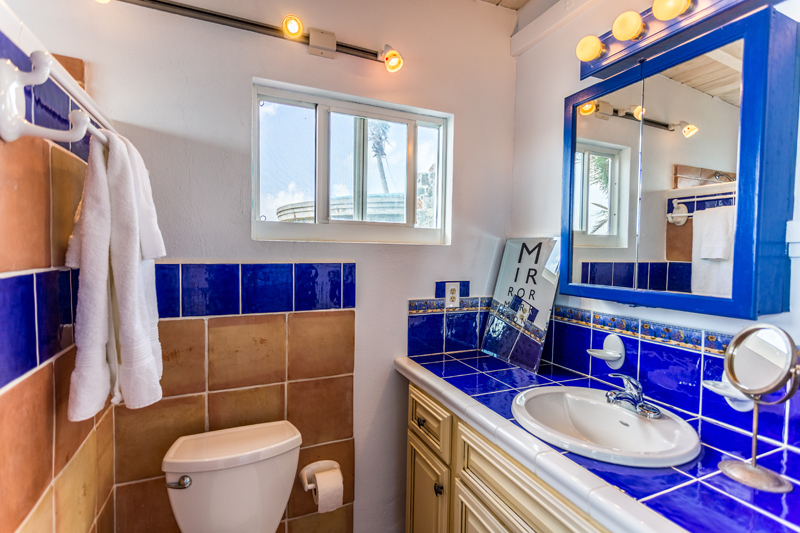 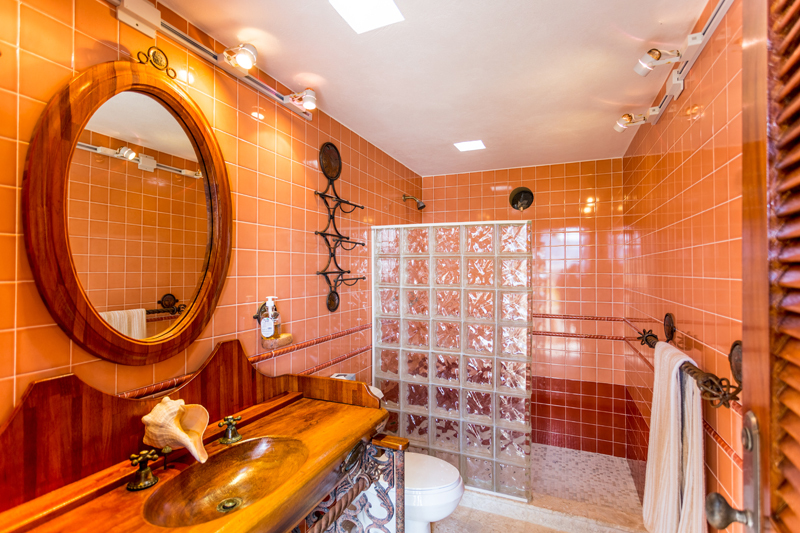 Each features elegant and unique fixtures and tilework. 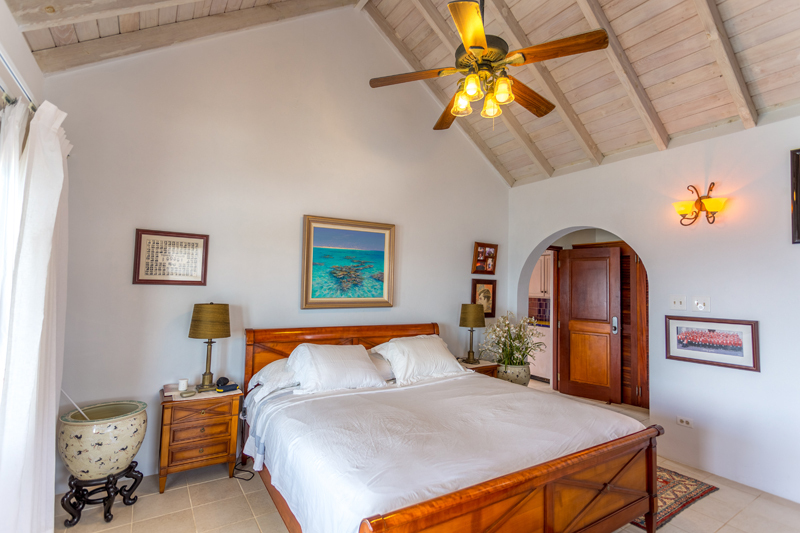 To the West of the pool lies the Master Bedroom Suite with generous walk in closet, ensuite bathroom with inside and outside showers and private viewing terrace. 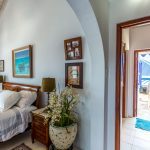 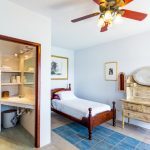 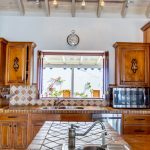 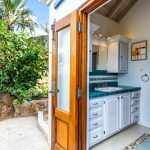 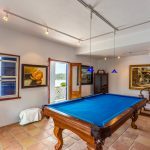 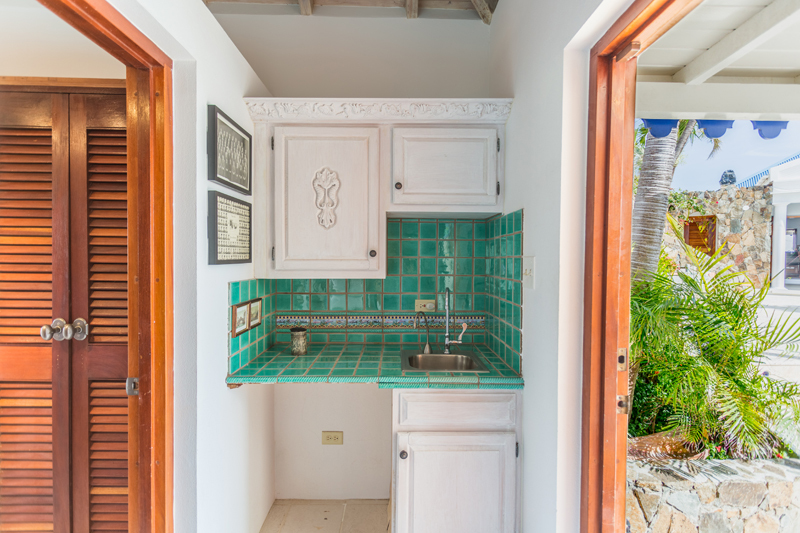 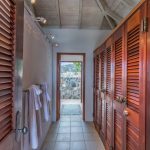 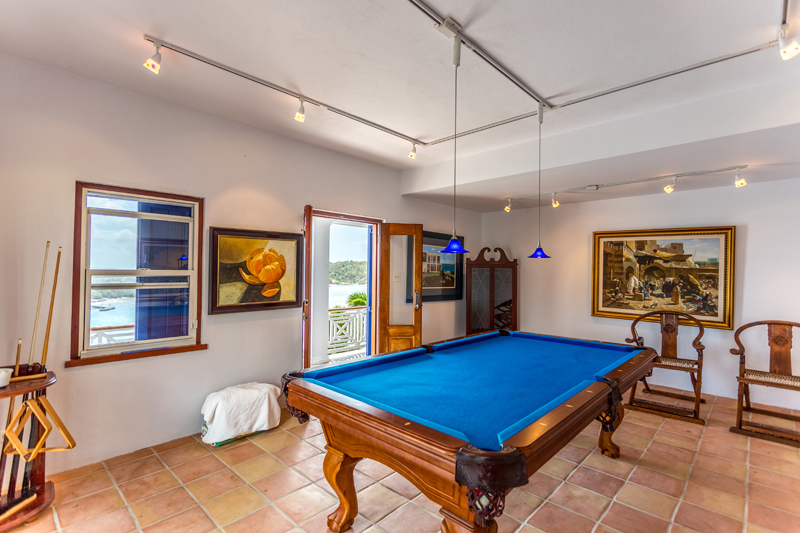 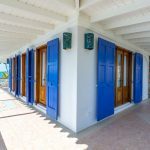 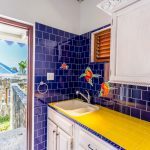 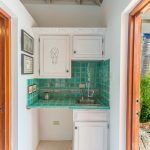 A second reception room/games room, generator and plenty of storage complete the accommodations, all of which sit within beautifully landscaped gardens including many tropical fruit trees. 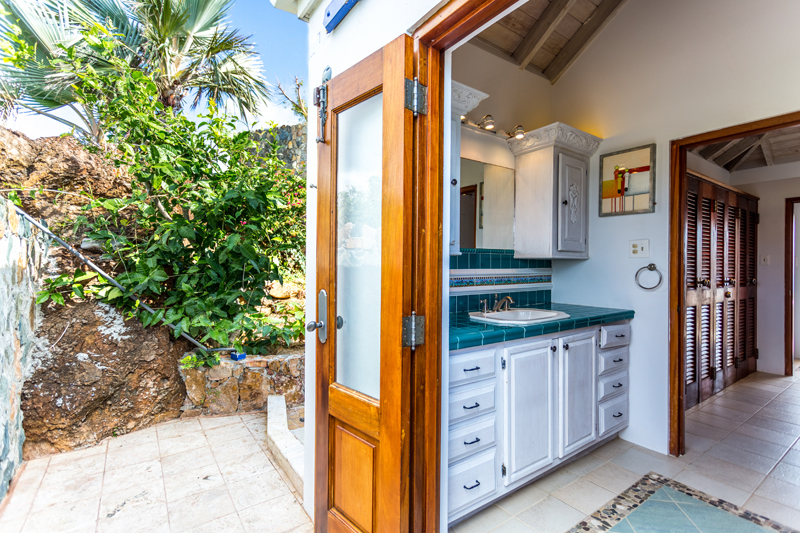 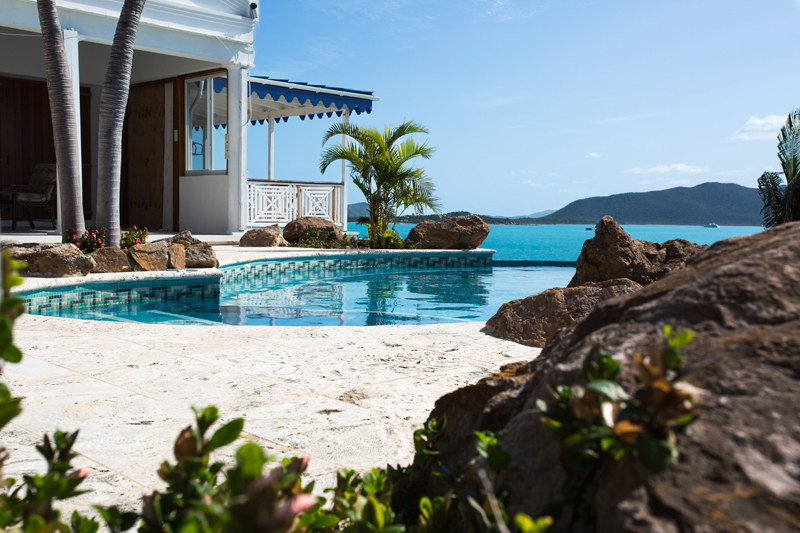 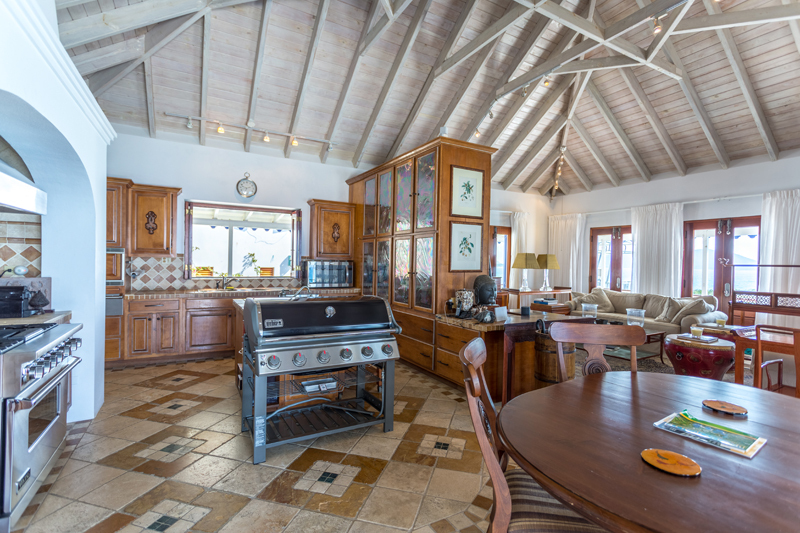 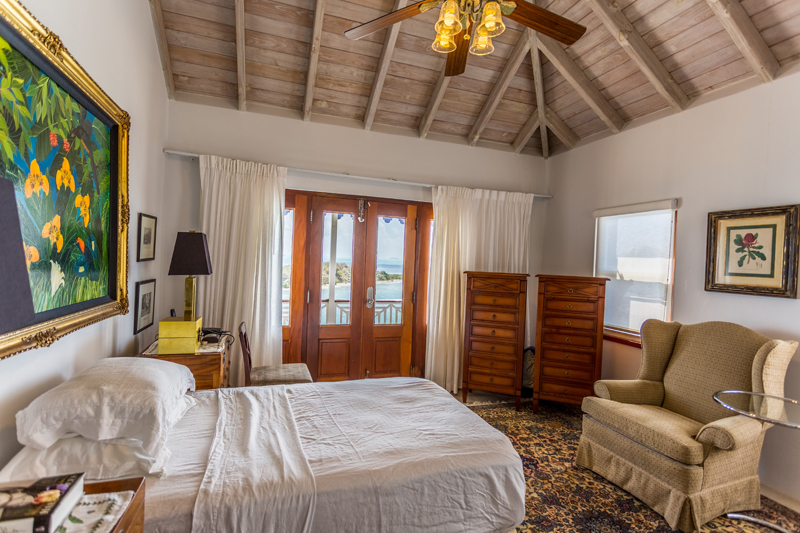 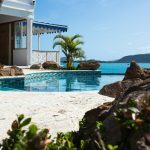 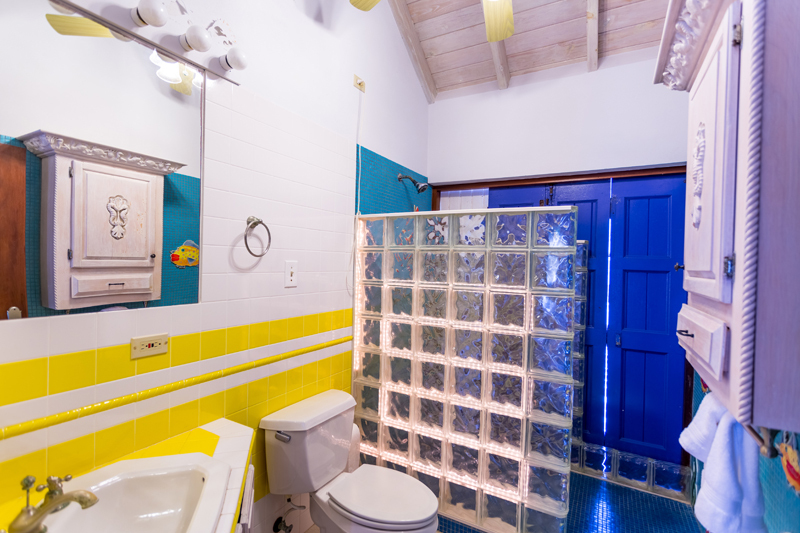 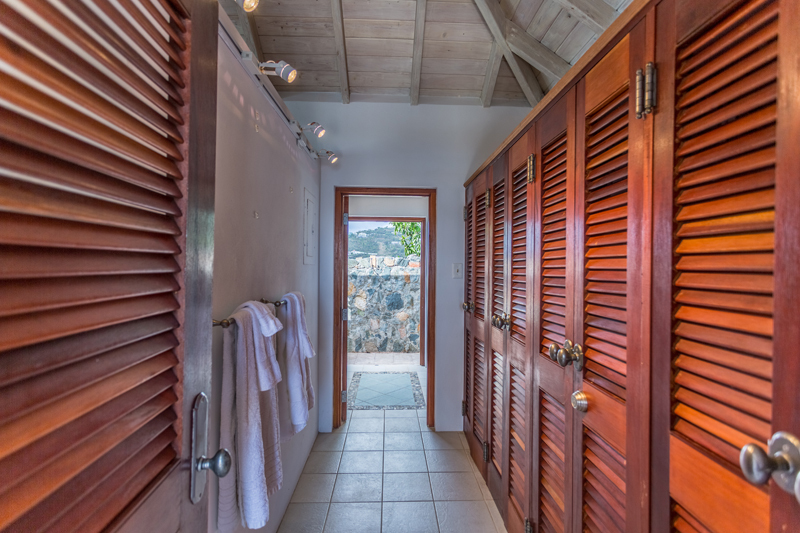 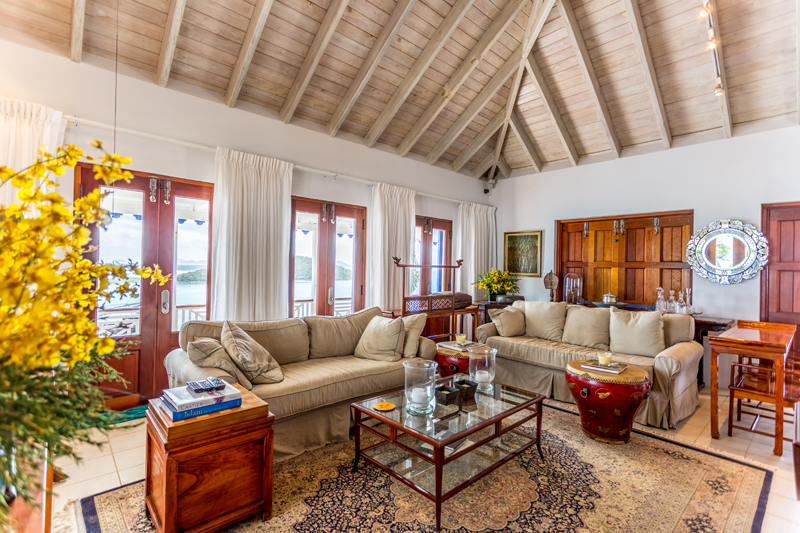 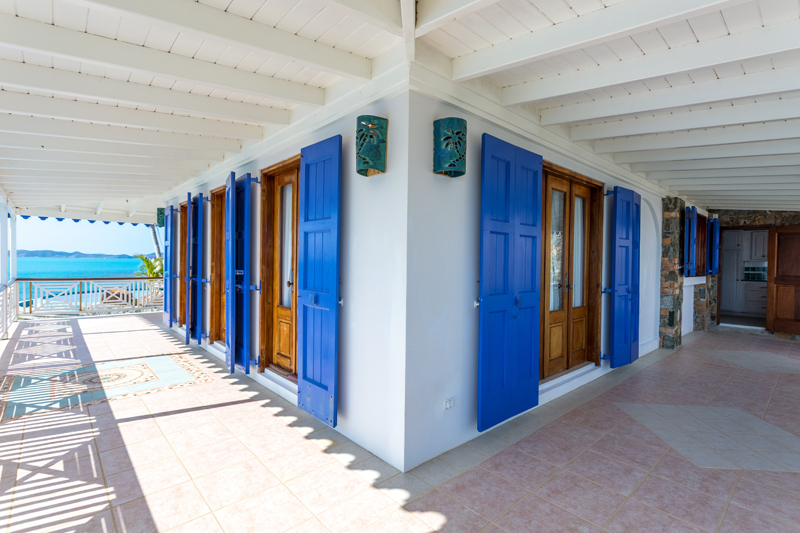 Asolare boasts amongst its neighbours some of Tortola’s finest Estate homes.